Aryendra Sharma, an alumnus of the 2018 batch, is currently working in the professional services firm, Alvarez & Marsal which was a Day 1.1 company during the placements. In an interview with Chennai36, he talks about his experience at A&M, his placement experience and how one should go about preparing. How has been your experience working with A&M so far? A&M is a consulting firm, more popular abroad than in India, especially in the U.S. The team in which I’m working has the culture of a startup alongside consulting. It’s quite an entrepreneurial field in this firm. The growth that you witness here is exponential, it is a fast-paced work and wouldn’t be a stretch to say that it’s a lot of work! It’s just been 3 months for me here and I’ve grown a lot. And the thing with consulting is that it’s a new venture with every project you take, You learn a lot from client interactions too. 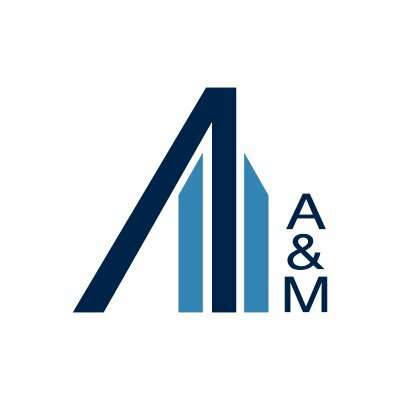 A&M is a comparatively new firm hence it is quite in a startup phase, wherein you approach and pitch to new clients, you have ownership with respect to work, you have to be quick with your work and that way the learning curve is also steep. This makes A&M an ideal option for those looking for a startup experience. When I started out, I was aiming for consulting and finance, apart from that there was some backup like I was preparing for analytics. Not that I was spending a lot of time coding but I worked towards making my quant really really strong. So the shortlist I had in 1.1 was A&M. I had some shortlist in 1.2 like FinMechanics, HSBC, ABInBev and Flipkart. What was the selection procedure for A&M? First came the GD phase, then there come the 2 rounds of interview. The first round was resume-based to check if I was a good fit for the company. It had a bit of HR and focused mainly on my resume and was about the work that I would have to do in the company. They checked whether I could work long hours, whether I know what consulting language is like, and if I’ve done anything similar to the things they do, like the cases they approach and how they approach them. That was my first interview- it was to check if I was fit for the company environment. This was followed by the second round, which was the case interview. They asked me a case on profitability in the energy sector. After the case, we just had a general conversation on A&M and how it would align with what I wanted to do. So there were these 2 interviews, both about a half hour each. How did you go about preparing? So to prepare for consulting, there are multiple books like ‘Case Interviews Cracked’, ‘Case In Point’ etc., so on those lines, I went about practising cases since the last week of August. Also, you need to work on guesstimates. For consulting, the thing is that you have to be very dynamic in your thinking and be capable to generate a lot of ideas on the spot; there is no general framework to be followed. Which is where practising a lot of cases helps. Apart from that, there is that HR round you have to prepare for. What many people tend to do is take HR for granted, which I think is a wrong approach. HR basically checks if you’ll fit into the company, whether you’ll get along with the others, whether you have the ethics for the company. There are questions like ‘Tell me about yourself’, ‘Tell me about a time when you worked long hours’, ‘Give an instance when you had to deal with people on multiple levels’, ‘What are your long-term and short-term goals’. What I would do a month before the interviews is jotting down answers for these on a paper because that gets you thinking about your answers. There is company-specific as well as general HR, like ‘Why consulting’, strengths and weaknesses. Before going to the interview, you should know very well about the company. How relevant are CGPA, PoRs and extra-curricular activities in the process? They didn’t really look for multiple peaks. The CGPA cutoff was somewhere in the 7 point range, probably around 7.7. They saw other things like PoRs, internships etc. Another thing that they do check in A&M is your knowledge in finance. What worked in my favour here was having a CFA level 1. During my interview, I was asked finance-based questions relevant to financial statements, bank statements etc. which are useful in day-to-day work over here. Other PoRs I held while in insti were those of Professional Shows Core at Saarang and also Social Secretary for my hostel. They did come in handy while answering certain questions during the HR rounds. What is your advice for the students sitting for placements? My advice to students preparing for placements is to not get disheartened on not being shortlisted or on being rejected. Do not stop! Just start focusing on the next company. Also, do not divide your focus among too many streams- don’t try to be a jack of all trades. It is better to focus on fewer profiles through and through. Remember that it’s just about these 2-3 months of intense pressure post which, you can relax over the next semester. All the best!